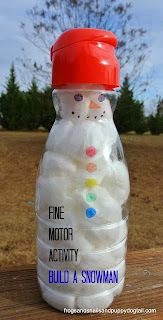 Frogs and Snails and Puppy Dog Tails had some Fine Motor Fun building this Snowman! 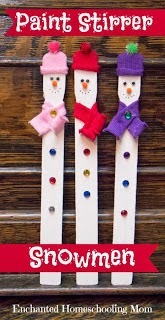 What I Live For created some adorable Clothespin Snowmen! 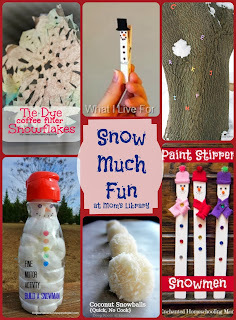 Enchanted Homeschooling Mom shared some Paint Stirrer Snowmen made by my own little ones! 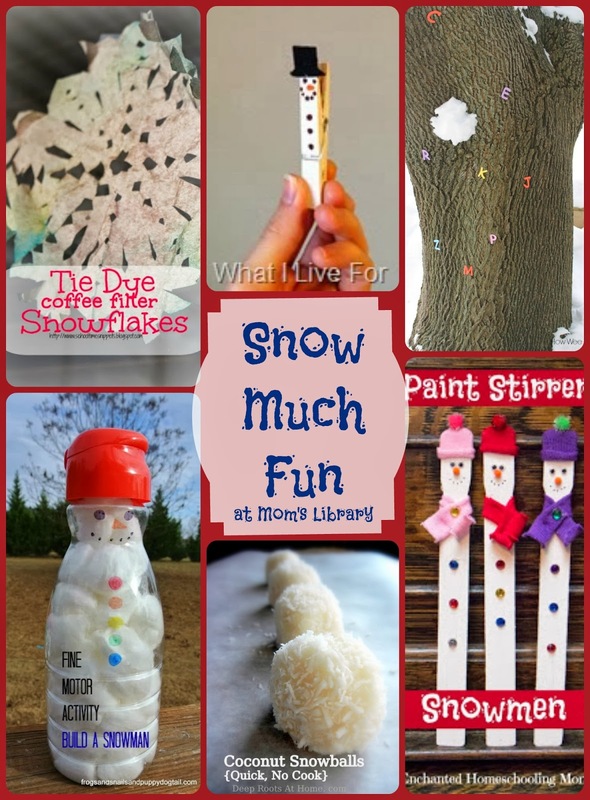 School Time Snippets made some Colorful Snowflakes from Coffee Filters! 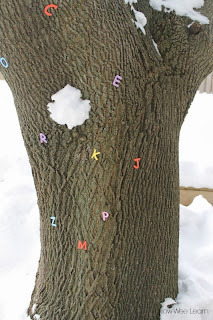 How Wee Learn has been practicing Letters with a Snowball Toss! 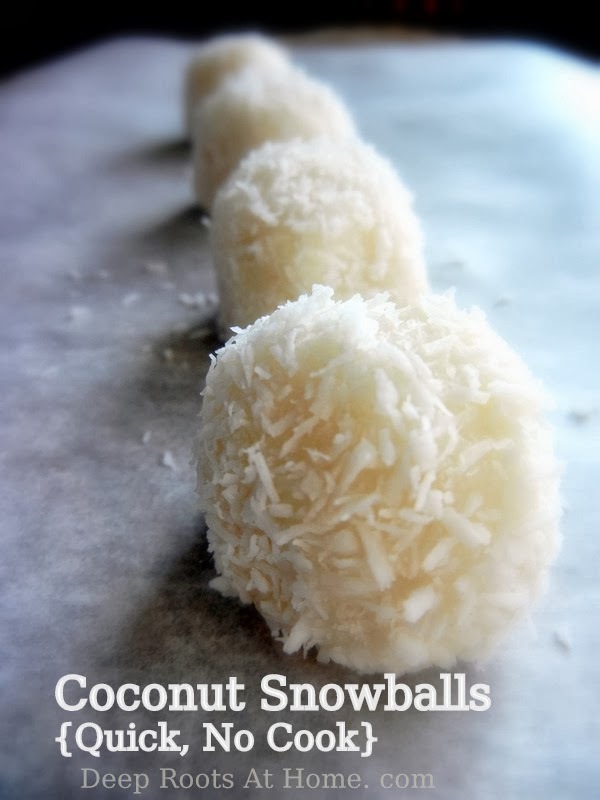 Deep Roots at Home made some edible Snowballs that look delicious! Our Giveaway this week is a Gift Set of 31 Bags! Head over to True Aim to read more about these bags as well as what all mom's need to keep in their bag!